Knitting Like Crazy: Waiting for the perfect moment. Waiting for the perfect moment. 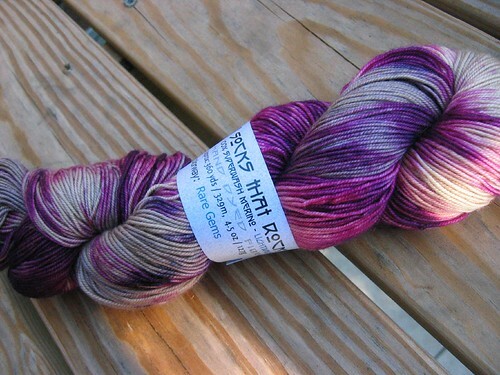 I was so happy to finally get my hands on some Rare Gems from BMFA while at Sock Summit. For those of you who don't know, Rare Gems are the happy accidents at the Blue Moon dye studio. 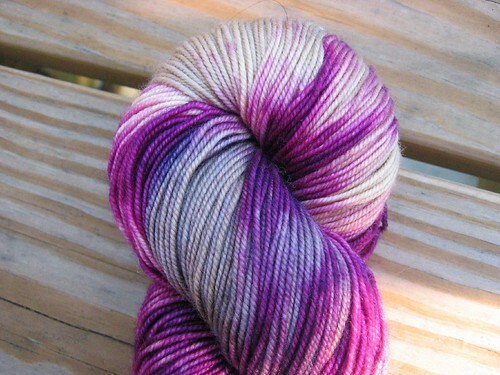 I think some might be 'screw ups' while others were dyed in the experimenting to find a new colorway. No matter what, Rare Gems are pretty much always gorgeous and highly sought after (because they are considered one-of-a-kind). I wasn't sure that I wanted to knit socks with the two Rare Gems that I purchased. I had been pretty sure that I wanted something a little fancier than socks. I am all for fancy socks, but I wanted something I wasn't going to wear a hole in. Enter the new Ysolda pattern, Damson. I think it's going to be perfect.